The outcome is less than the hype, also true to form. Mandatory worker representatives onboards have become a choice between assigning responsibilities to a non-executive director, creating an employee advisory council or nominating a director from the workforce, with the only requirement being to ‘comply or explain’. Mandatory annual votes on ‘fat cat’ pay have become a naming and shaming website listing, while publishing high-to-median pay ratios will simply make more accessible data that is largely in the public domain already. Meanwhile other changes take effect. 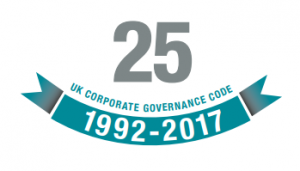 My colleague at Corporate Citizenship, Peter Truesdale, reports on further tightening to the rules on corporate annual reporting, taking effect this year.